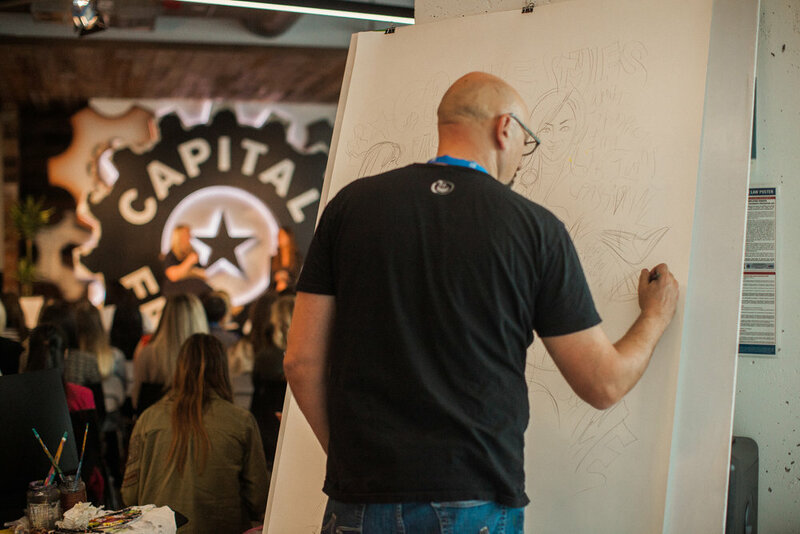 We capture the essence of events through drawing,painting, & animation live on site. We create engagement with your attendees leading to great shareable moments that will in-turn help boost your social impact. In the long term the product becomes great content for social & digital channels & for a wide range of internal & external marketing purposes. Live drawn event transformed into animated marketing video content for UTC Partners. Beyond simple graphic recording - the compelling imagery we create is tailored to capture the essence of your event - whether it is ideas, the individuals, the atmosphere or all of the above. We don’t simply document, we create something that creates a memorable, emotional connection to the experience, for all involved. We would love to help you brainstorm custom ideas that fit the goals of your event. Please reach out to us and we can develop a creative product & budget that works for you.